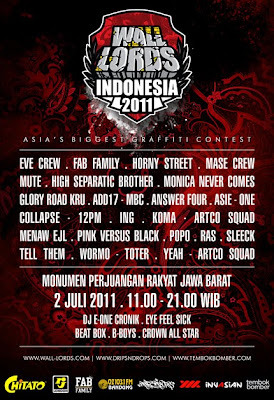 Asia's biggest graffiti contest. 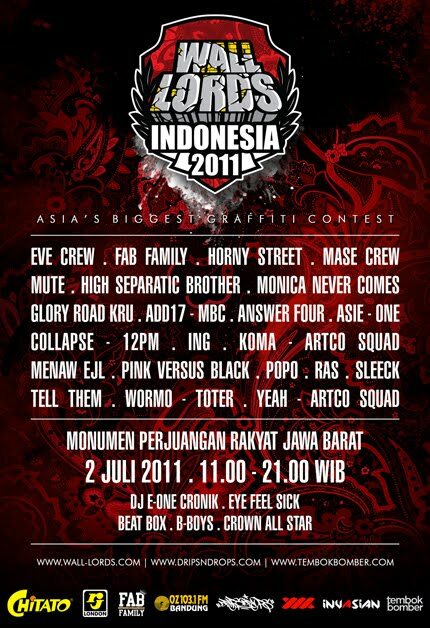 Stay tuned for Wall Lords Indonesia, an all day affair to be held on July 2nd 2011 from 11am-9pm at Monumen Perjuangan Rakyat, West Java. The event will also feature live painting by Indonesia's top writers. Don't miss it!